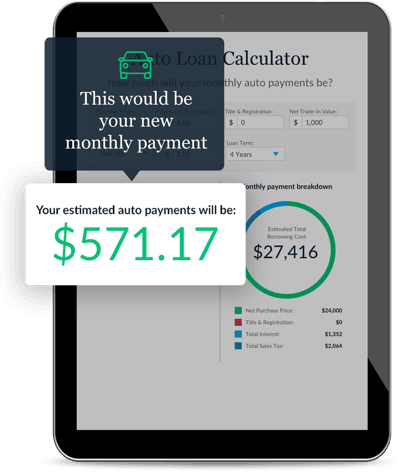 Use this auto calculator to estimate your monthly auto payments, including estimates for taxes, and trade-ins. Use this auto affordability calculator to estimate your car’s purchase price, including estimates for taxes and trade-ins. Auto loan refinancing could potentially help your decrease your monthly payment, decrease your interest payment or even do both! Find and compare auto loans within minutes!